Winter is finally here, and with more snow on the way for the upcoming weekend, I couldn’t be more excited. 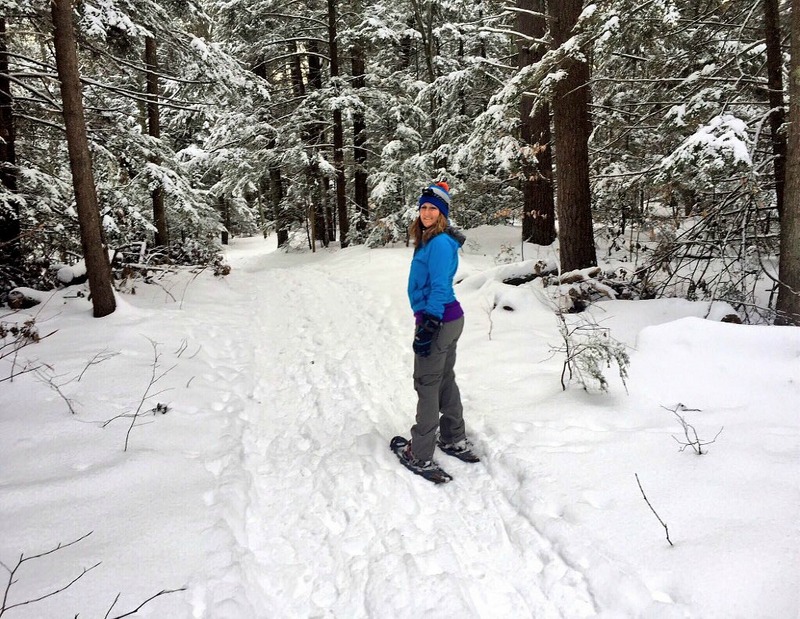 As a life long Northern Michigan native, I know all too well how unpredictable Michigan’s weather can be and just how quickly having the wrong gear can cut your favorite outdoors adventures short. So when I received an invitation to test gear as part of the Fall/Winter 2015 #ORInsightLab team, I jumped at the opportunity! At the beginning of December Outdoor Research sent me two items to test. A gorgeous “Hydro” two-toned blue (my favorite colors!) Linchpin Hooded Jacket and the “Pewter” Trailbreaker Pants (Review coming in February). 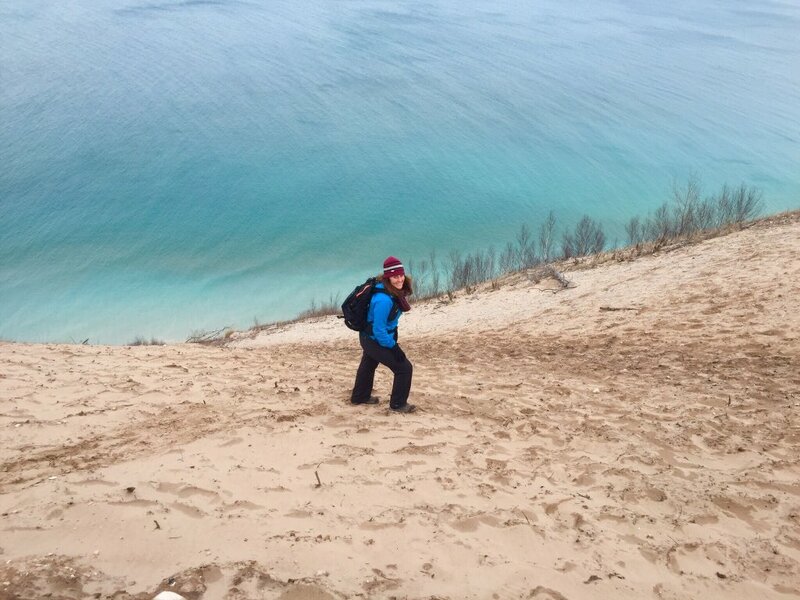 This year El Nino, as expected, offered me a wide variety of Northern Michigan weather to test the jacket. 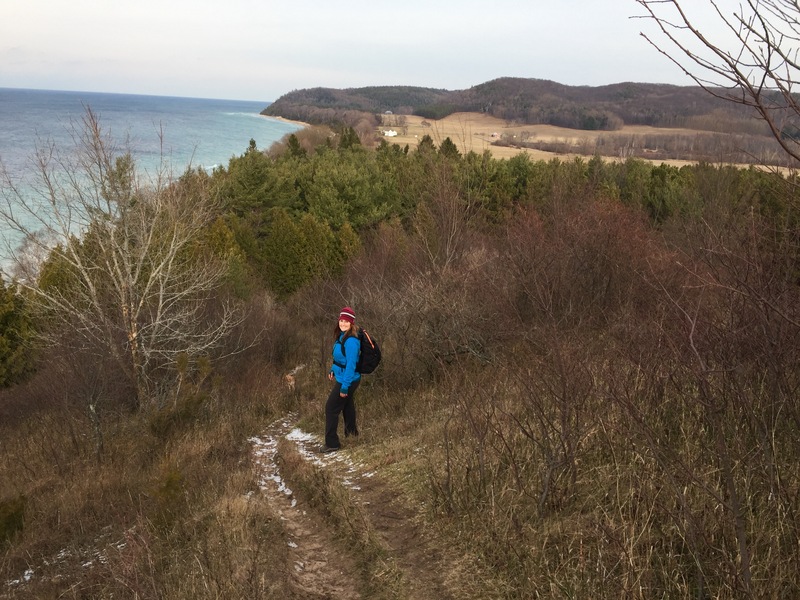 Starting out in late Fall our weather was a bit on the balmy side so I was able to wear the jacket with a lightweight layer underneath while hiking our favorite trails around the Sleeping Bear Dunes National Lakeshore. I immediately fell in love with the soft shell fabric, colors and texture. The fit was very comfortable even with my slightly longer torso. Because I love to feel comfortable and unrestricted I typically opt for a Ladies Large to allow more room for layering, however having received a size Medium I was delightfully surprised to find that it fit well, even with an additional layer underneath. Later, as our temps began to drop along with incoming rain I still felt very dry and comfortable as the highly water resistant Gore Windstopper fabric gave me great protection from the rain as well as the gale force winds we encountered along the lakeshore. 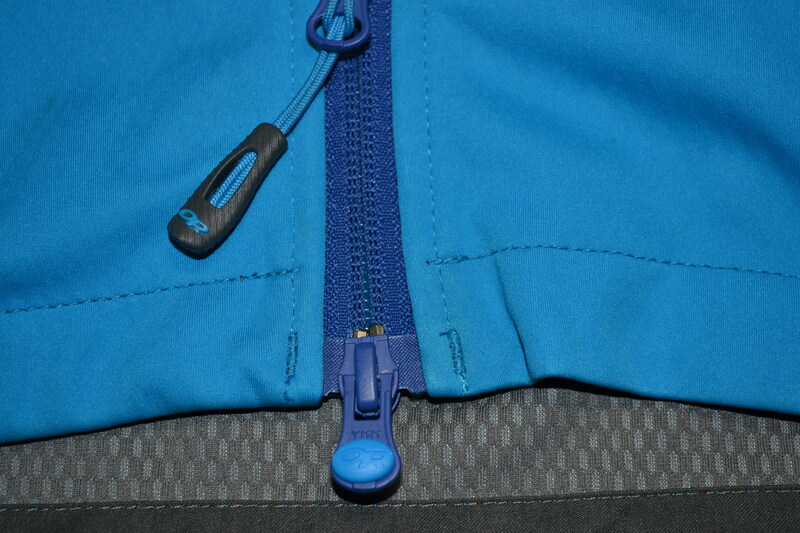 Initially, the Double-Separating Front Zipper feature was a bit of a challenge for me. However, once I mastered the unique technique to get it started it was never an issue again. (Yes, there’s a technique: Pull the side with the zipper taught while fitting the zipperless side together and then zip up while they are lined up taught) Honestly, it works like a charm! I even laughed out loud at myself amazed at how quickly and easily it went up each and every time from that moment forward. (non-climber issues, ha! 😉 Avid climbers will surely find that the two-way sliding front zipper is an especially handy feature to accommodate a harness and belay device. Many weeks later we finally received our much awaited snow thanks to Winter Storm Goalith. 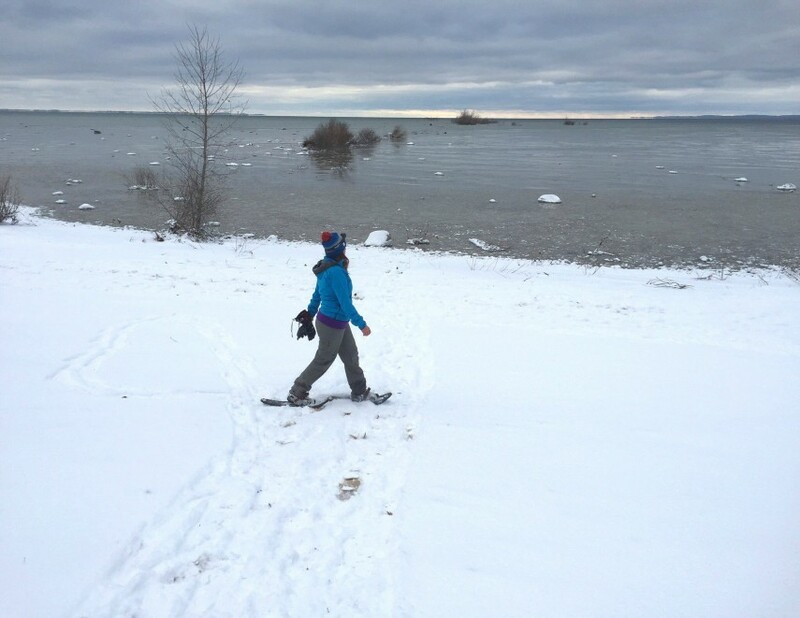 The storm dumped several inches of fresh, wet snow just in time for the long holiday week and the beginning of our Snowshoeing season. I was a bit skeptical that this jacket could keep me warm enough while out snowshoeing all day. However, I found that it did just that. 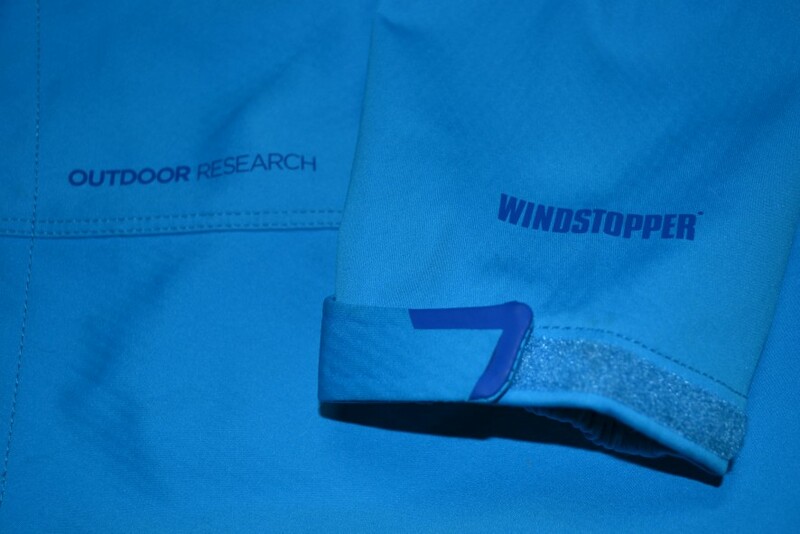 The Windstopper fabric offered great wind and water protection from the icy cold winds and snow along the shoreline, while being incredibly breathable. 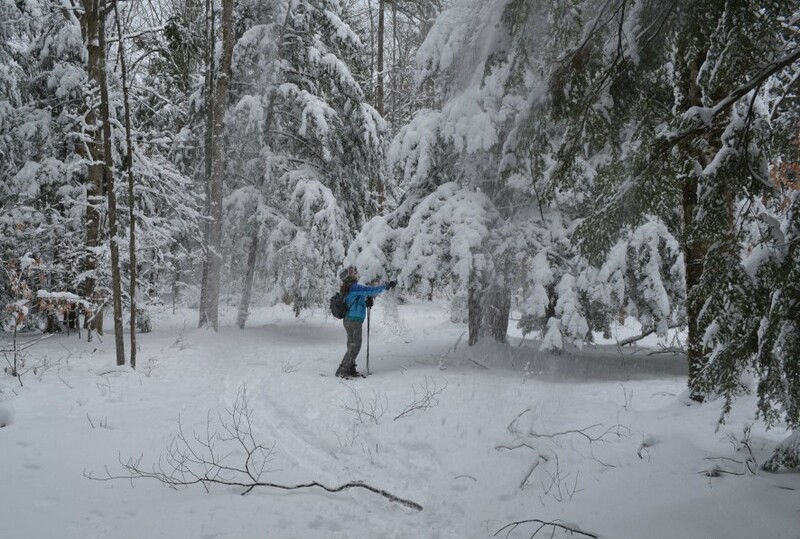 Even after several miles of snowshoeing I was able to keep my body at just the right temp by utilizing the hem-to-bicep TorsoFlo zippered venting options to cool down as needed. Overall, I simply love this jacket! I keep it out and handy to wear nearly every day, no matter what adventures I have planned, or even just running errands around town or out on a lunch date with my husband. I will continue to test it and wear it throughout the rest of the winter and keep you posted on how it handles as we work our way into the more frigid depths of our Northern Michigan winter. Disclosure: As a participant in the Outdoor Research’s (OR) #ORInsightLab. I test gear and offer feedback. This shell jacket was provided to me at no cost, but as always the opinions are authentically my own.